Fucus spiralis, South of Galicia, Spain, 2013, Ignacio BÃ¡rbara. Ignacio Bárbara. © Ignacio Bárbara (barbara@udc.es). Fucus spiralis, RÃ­a de Ferrol, Galicia, Spain, 2013, Ignacio BÃ¡rbara" . Ignacio Bárbara. © Ignacio Bárbara (barbara@udc.es). Ría de A Coruña, Galicia, Spain, 2012. Ignacio Bárbara. © Ignacio Bárbara (barbara@udc.es). saltmarsh, with Lichina confinis, Ría de Arousa, Galicia, Spain, 2012. 01 Jan 0001. Ignacio Bárbara. © Ignacio Bárbara (barbara@udc.es). saltmarsh, Ría de Arousa, Galicia, Spain, 2012, . 01 Jan 0001. Ignacio Bárbara. © Ignacio Bárbara (barbara@udc.es). North of Spain, 2010. 21 Oct 2011. Ignacio Bárbara. © Ignacio Bárbara (barbara@udc.es). Serrão, Alice & Brawley (1999) showed that Atlantic and Pacific populations of this species are conspecific. English: Jelly bags (Dickinson 1963), Spiral wrack (Duddington 1966), Flat wrack (Anonymous 1978), Spiraled Wrack (Bunker et al. 2010). Gaeilge: Feamuinn Bharr Chladaigh, Feamuinn Bhuilgíneach (Brennan 1950), Casfheamainn (Anonymous 1978). Accesses: This record has been accessed by users 30661 times since it was created. Afonso-Carrillo, J., Sanson, M., Gil-Rodríguez, M.C., Chacana, M. & Reyes, J. (1988). 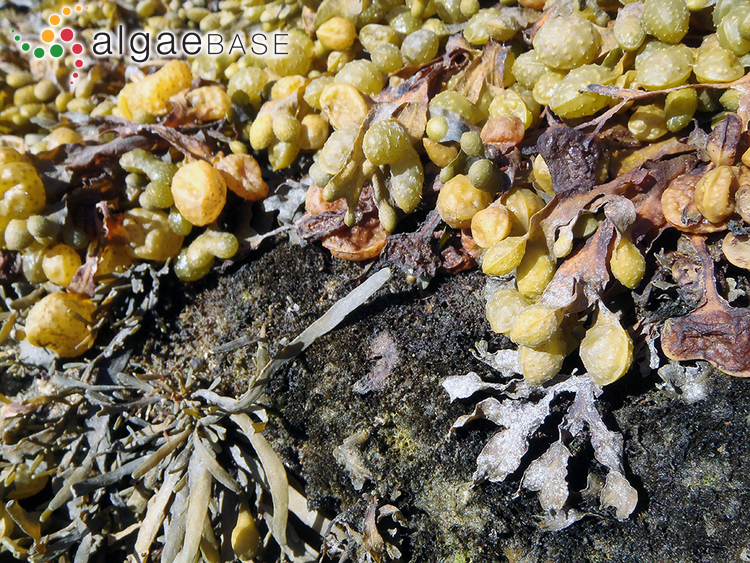 An endophytic Streblonema (Phaeophyta) associated with galls in Fucus spiralis (Phaeophyta) from the Canary Islands. Act. Sim. Int. Bot. Pius Font i Quer 1: 73-76. Barros-Velázquez, J., Miranda, J.M., Marina Ezquerra-Bauer, J. & Aubourg, S.P. (2016). Impact of icing systems with aqueous, ethanolic and ethanolic-aqueous extracts of alga Fucus spiralis on microbial and biochemical quality of chilled hake (Merlucius merlucius). International Journal of Food Science & Technology 51(9): 2081-2089. Billard, E., Serrão, E.A., Pearson, G.A., Engel, C.R., Destombe, C. & Valero, M. (2006). Analysis of sexual phenotype and prezygotic fertility in natural populations of Fucus spiralis, F. vesiculosus (Fucaceae, Phaeophyceae) and their putative hybrids. European Journal of Phycology 40(4): 397-407. Billard, E., Serrão, E.A., Pearson, G.A., Destombe, C. & Valero, M. (2010). Fucus vesiculosus and spiralis complex: a nested model of local adaptation at the shore level. Marine Ecology Progress Series 405: 163-174. Bond, P.R., Brown, M.T., Moate, R.M., Gledhill, M., Hill, S.J. & Nimmo, M. (1999). Arrested development in Fucus spiralis (Phaeophyceae) germlings exposed to copper. European Journal of Phycology 34: 513-521, 24 figs, 1 table. Cerantola, S., Breton, F., Ar Gall, E. & Deslandes, E. (2006). Co-occurrence and antioxidant activities of fucol and fucophlorethol classes of polymeric phenols in Fucus spiralis. Botanica Marina 49: 347-351. Chapman, A.R.O. (1989). Abundance of Fucus spiralis and ephemeral seaweeds in a high eulittoral zone: effects of grazers, canopy and substratum type. Marine Biology, Berlin 102: 565-572. Coleman, M.A. & Brawley, S.H. (2005). Are life history characteristics good predictors of genetic diversity and structure? 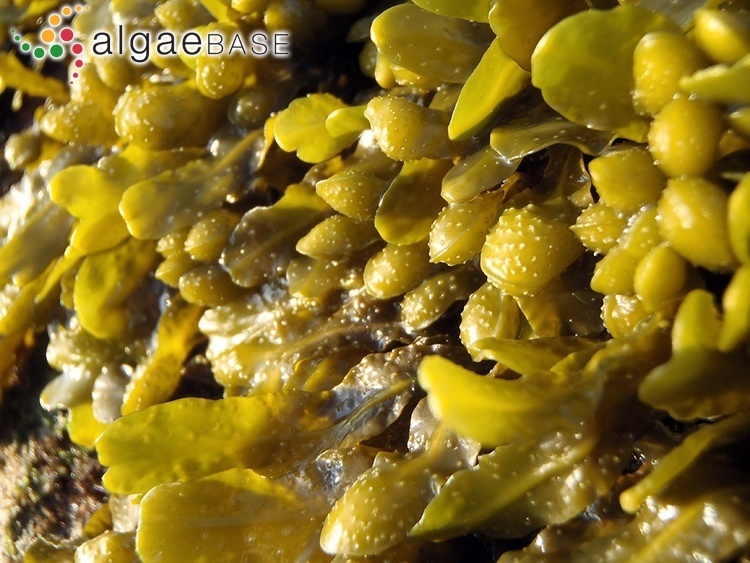 A case study of the intertidal alga Fucus spiralis (Heterokontophyta, Phaeophyceae). Journal of Phycology 41: 753-762. Costas, E., Aguilera, A., González-Gil, S. & López-Rodas, V. (1994). Early development in Fucus spiralis: analysis of surface glycan moieties and cell differentiation using lectins. Botanica Marina 37: 11-15, 2 figs, 2 tables. Fries, L. (1984). Induction of plantlets in axenically cultivated rhizoids of Fucus spiralis. Canadian Journal of Botany 62: 1616-1620. Hazlett, A. & Seed, R. (1976). 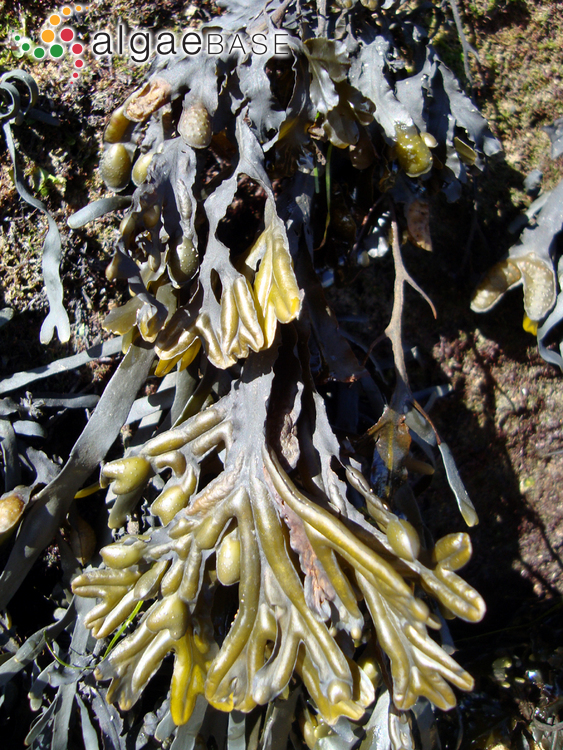 A study of Fucus spiralis and its associated fauna in Strangford Lough, Co. Down. Proceedings of the Royal Irish Academy 76B: 607-618. Hernández, I., Christmas, M., Yelloly, J.M. & Whitton, B.A. (1997). 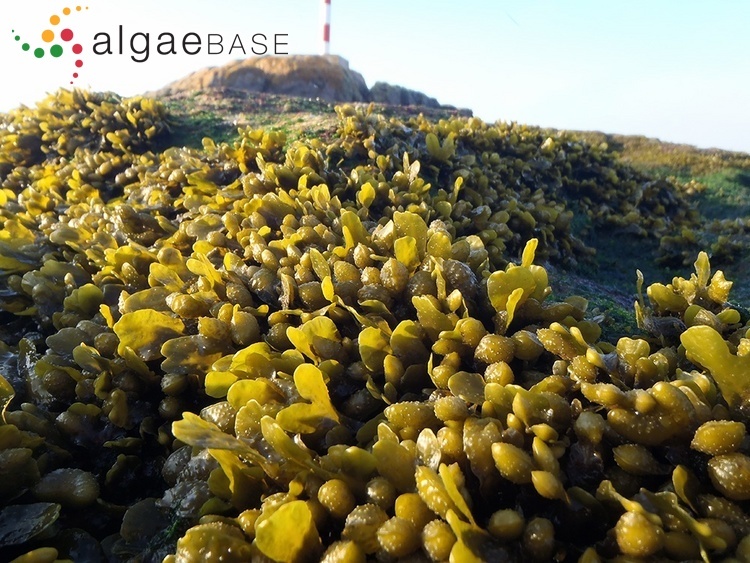 Factors affecting surface alkaline phosphatase activity in the brown alga Fucus spiralis at a North Sea intertidal site. Journal of Phycology 33: 569-575, 9 figs, 1 table. Kim, B.Y., Park, S.K., Norton, T.A. & Choi, H.G. (2011). 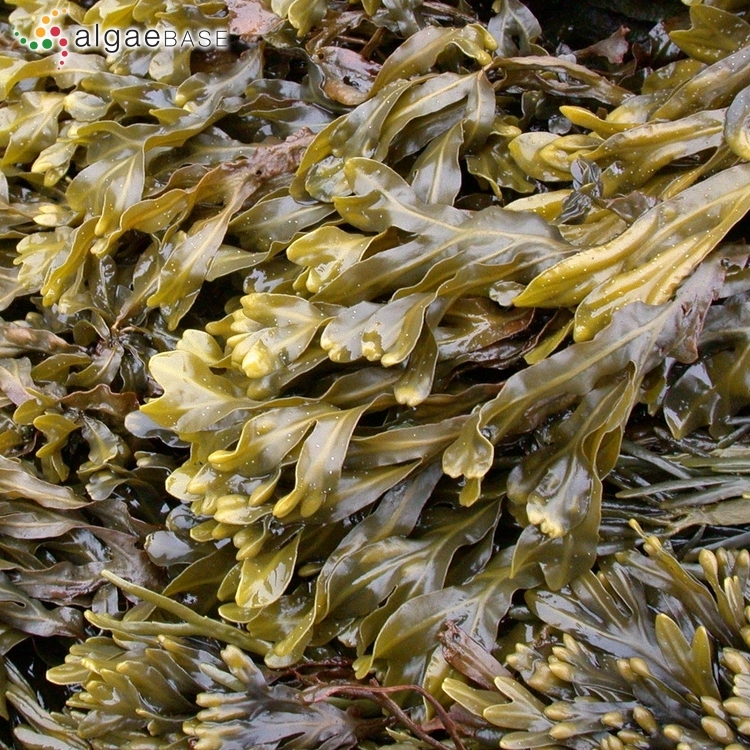 Effects of temporary and periodic emersion on the growth of Fucus spiralis and Pelvetia canaliculata germlings. Algae 26(2): 193-200, 6 figs, 3 tables. López Rodríguez, Mª.C. & Pérez-Cirera, J.L. (1995). Aportación al conocimiento de la influencia de la contaminación industrial en Fucus vesiculosus y Fucus spiralis en el N.O. de la Península Ibérica. Studia Botanica 13: 21-29. López Rodríguez, Mª.C. & Pérez-Cirera, J.L. (1995). 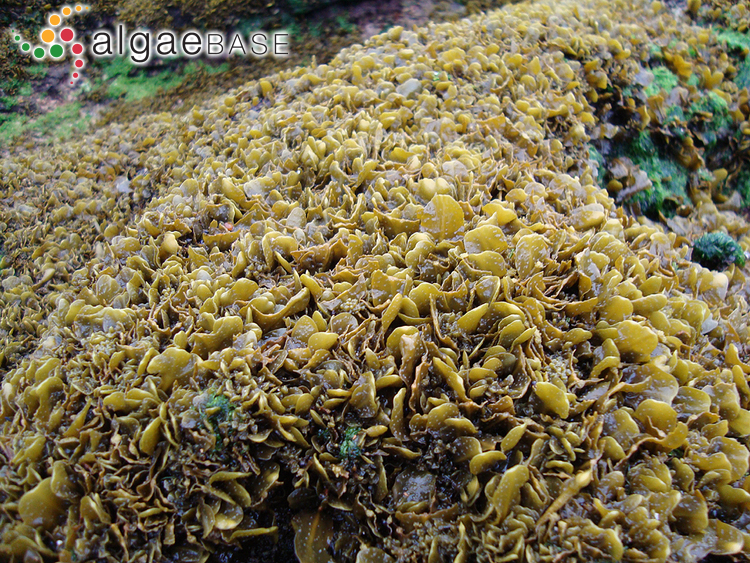 Estudio de la colonización y sucesión de la comunidad de Fucus spiralis L. (Fucaceae, Phaeophyta) en las cercanías de un colector de aguas residuales de la Ría de Pontevedra (N.O. de España). Nova Acta Cientifica Compostelana (Bioloxía) 5: 25-29. Madsen, T.V. & Maberly, S.C. (1990). 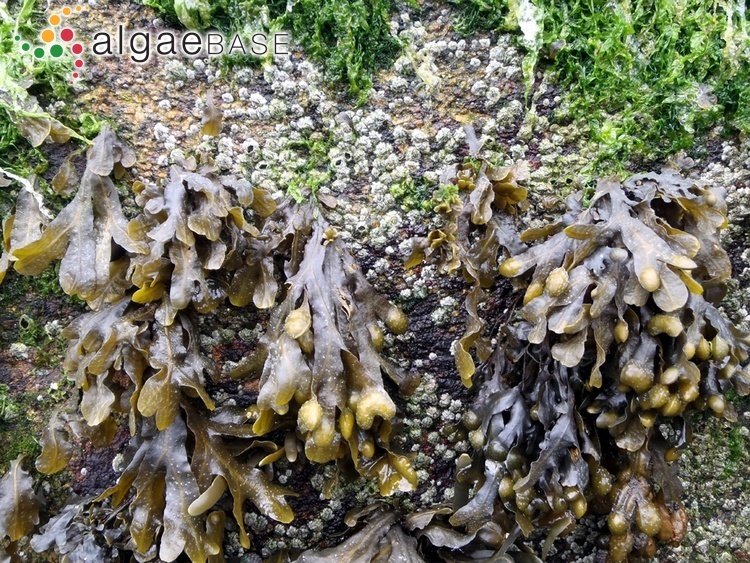 A comparison of air and water as environments for photosynthesis by the intertidal alga Fucus spiralis (Phaeophyta). Journal of Phycology 26: 24-30, 6 figs, 1 table. Miranda, J.M., Trigo, M., Barros-Velázquez, J. & Aubourg, S. (2016). Effect of an icing medium containing the alga Fucus spiralis on the microbiological activity and lipid oxidation in chilled megrim (Lepidorhombus whiffiagonis). Food Control 59: 290-297. Munda, I.M. (1986). Differences in heavy metal accumulation between vegetative parts of the thalli and receptacles in Fucus spiralis L.. Botanica Marina 29: 341-349. Niell, F.X., Jiménez, C. & Fernández, J.A. (1987). The forms of Fucus spiralis L. in the Canary Islands: discriminant and canonical analysis applied to define a new form. Botanica Marina 30: 27-32. Niemeck, R.A. & Mathieson, A.C. (1976). 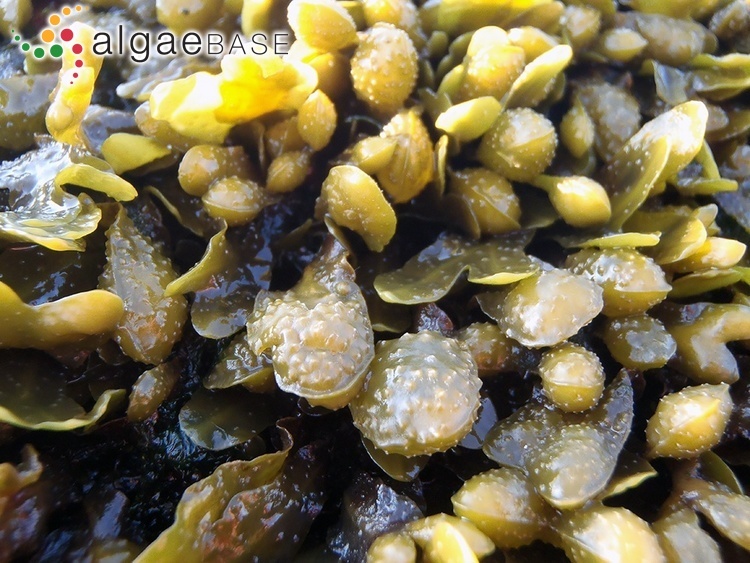 An ecological study of Fucus spiralis L. Journal of Experimental Marine Biology and Ecology 24: 33-48. Norris, R.E. & Conway, E. (1974). Fucus spiralis L. in the northeast Pacific. Syesis 7: 79-81. Perrin, C., Daguin, C., Van de Vliet, M., Engel, C.R., Pearson, G.A., & Serrão,E.A. (2007). 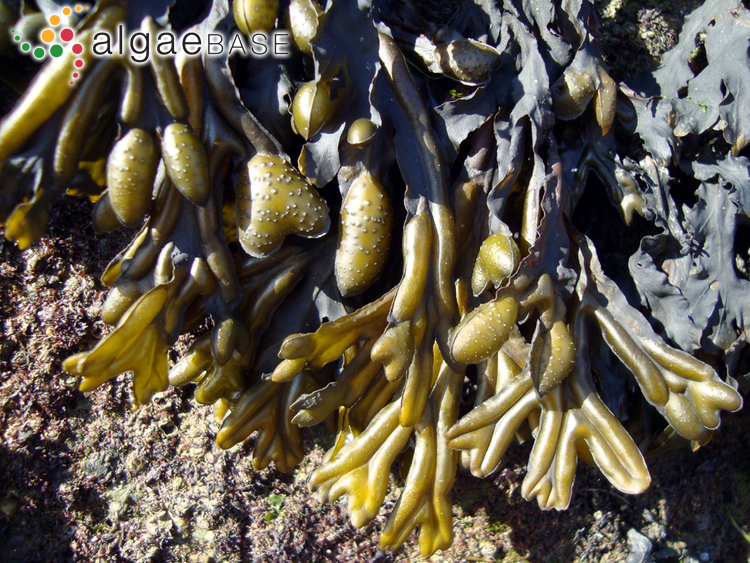 Implications of mating system for genetic diversity of sister algal species: Fucus spiralis and Fucus vesiculosus (Heterokontophyta, Phaeophyceae). European Journal of Phycology 42: 219-230. Powell, H.T. (1960). The typification of Fucus spiralis L. British Phycological Bulletin 2: 17. Robertson, B.L. (1987). Reproductive ecology and canopy structure of Fucus spiralis L.. Botanica Marina 30: 475-482. Sancholle, M. (1988). Présence de Fucus spiralis (Phaeophyceae) en Méditerranee occidentale. Cryptogamie, Algologie 9: 157-161, 1 photo. Schonbeck, M.W. & Norton, T.A. (1979). 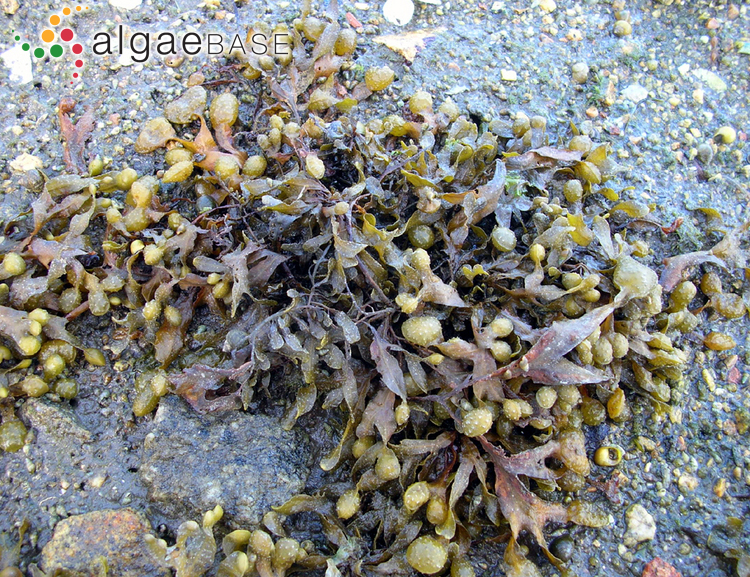 Drought-hardening in the upper-shore seaweeds Fucus spiralis and Pelvetia canaliculata. J. Ecol. 67: 687-696. Scott, G.W., Hull, S.L., Hornby, S.E., Hardy, F.G. & Owens, N.J.P. (2001). Phenotypic variation in Fucus spiralis (Phaeophyceae): morphology, chemical phenotype and their relationship to the environment. European Journal of Phycology 36: 43-50. Topinka, J.A. & Robbins, J.V. (1976). 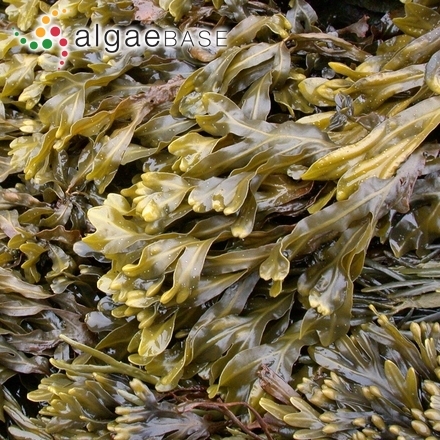 Effects of nitrate and ammonium enrichment on growth and nitrogen physiology in Fucus spiralis. Limnology and Oceanography 21: 659-664. Topinka, J.A. (1978). 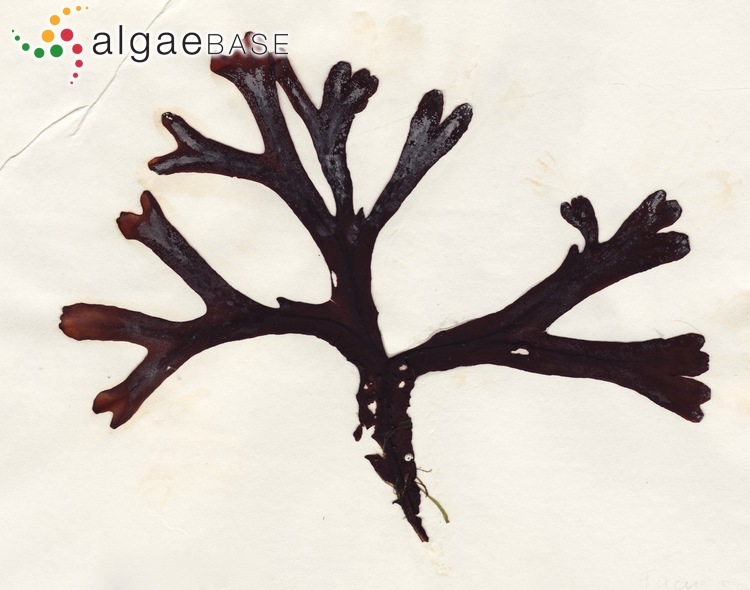 Nitrogen uptake by Fucus spiralis (Phaeophyceae). Journal of Phycology 14: 241-247, 6 figs, 2 tables.